Using $7.3 million in funds seized from criminals, seven colleges in New York State will be able to sustain or expand their course offerings to prisoners this fall with hopes that education behind bars will cut down on crime. And lower recidivism rates mean lower costs to taxpayers in the long-run, Eap said, because lower recidivism means lower prison costs. 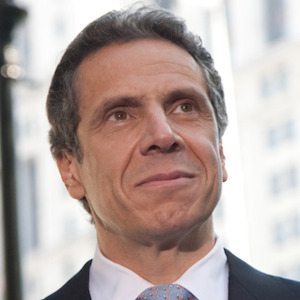 Eap made those remarks following Monday’s announcement by New York Governor Andrew M. Cuomo (D), and Manhattan District Attorney Cyrus R. Vance, Jr., of a new College-in-Prison Reentry Program. The five-year program is being funded through the Manhattan District Attorney’s Office’s Criminal Justice Investment Initiative, which takes criminal forfeiture funds and redirects the money toward various projects meant to improve public safety and prevent crime. The program is expected to create more than 2,500 seats for college-level education and training for inmates throughout the state — significantly more than the seats allotted for the 1,000 inmates who presently receive college-level instruction each year with mostly private funds. • Bard College at Taconic, Coxsackie, Eastern, Fishkill, Green Haven and Woodbourne correctional facilities. • Medaille College at Albion correctional facility. • Mercy College at Sing Sing correctional facility. • Mohawk Valley Community College, SUNY, at Marcy correctional facility. • Jefferson Community College, SUNY, at Cape Vincent, Gouverneur and Watertown correctional facilities. The CUNY Prisoner Reentry Institute, in collaboration with the State University of New York, or SUNY, will receive approximately $2.37 million over five years to serve, coordinate, develop and oversee the program. A primary goal will be to help former inmates obtain jobs upon release. “College education is a key component to succeeding in the workforce, which, for returning citizens is vital for successful reentry, family reunification and reintegration into their communities,” said Ann Jacobs, director of the CUNY Prisoner Reentry Institute. Dr. Karol Dean, dean of the school of social and behavioral sciences at Mercy College, which offers prison education programming that enables students to get two- and four-year degrees, said beyond lowering recidivism rates, the program is likely to improve prison behavior and help incarcerated individuals transform their lives. “This is an opportunity for them to feel like they can make an important change,” Dean said. Education in prison also helps with prison management, Dean said. “Students model appropriate behavior with their fellow inmates, and that, I think, might make the prison environment better for everybody,” Dean said. To qualify for the program, incarcerated individuals must be serving five years or less. The colleges selected to participate in the program had to submit proposals. Vivian Nixon, co-founder of the Education from the Inside Out Coalition, a group that advocates for education in prison, said while she welcomed the College-in-Prison Reentry Program, more must be done to help students in the program finish their education upon release.